I have spent the last week testing out various methods of enabling Sixxs IPv6 tunnels and Hurricane Electric IPv6 tunnels and I have compiled and posted the following script which incorporates all of the collected data and even includes how to install traceroute6, ping6, and tcpdump without recompiling! I tried to make it as easy as possible. Yes, Grooveshark has finally finished Last.FM scrobbling. I have not tested it (I don't use Last.FM) but people have already reported it is working for them. Note this is only for VIP members. On a side note, I can finally close all the discussions on the old (read: check Grooveshark Forums) GetSatisfaction posts. 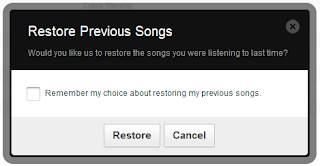 Also, a feature requested in the forums was the ability to shut off the constant nagging to "Restore previous songs". 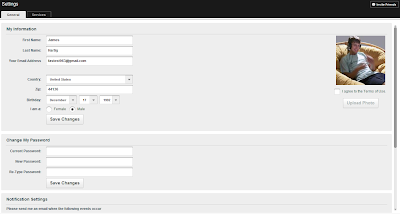 This feature was enabled in the last update and allowed the user to restore the queue from the last session. There is now a "Remember my answer"-style checkbox on this dialog. I have suggested they accompany this with a checkbox in settings. Finally, the team has added 2 new languages. Pirate and what appears to be Chinese (confirmed to be Chinese). Hopefully this addition will expand the Chinese market (at least until China blocks it...) and it will be interesting to watch the at-sea market grow as well. Along with the above features, there were some major fixes and updates applied to ads, which hopefully will stop all those nasty browser hijacks. One way to get all the above features and totally dismiss ads is to get a Grooveshark VIP account. Enjoy the update VIPers!